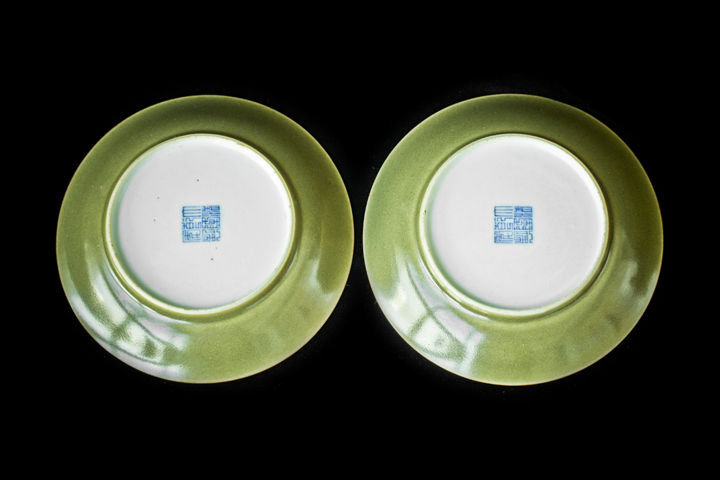 Appraisal：This pair of Tea-dust Glaze Plates is from the reign of Qing Emperor Qianlong（1736－1795） official kilns products. 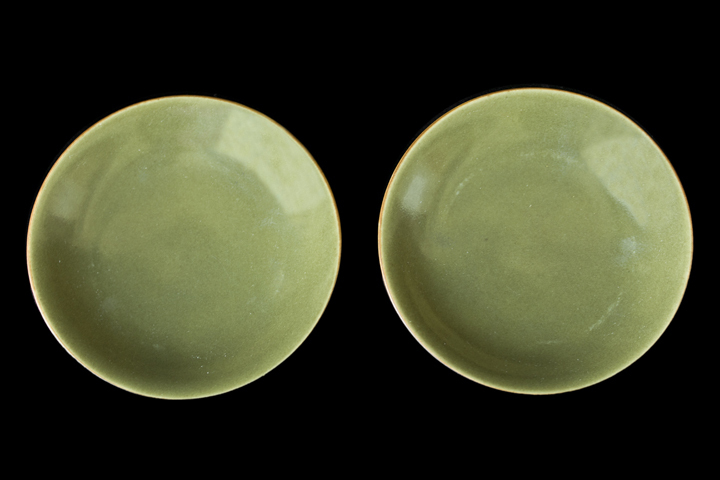 Its clay body is very fine with an outcome that is highly refined. 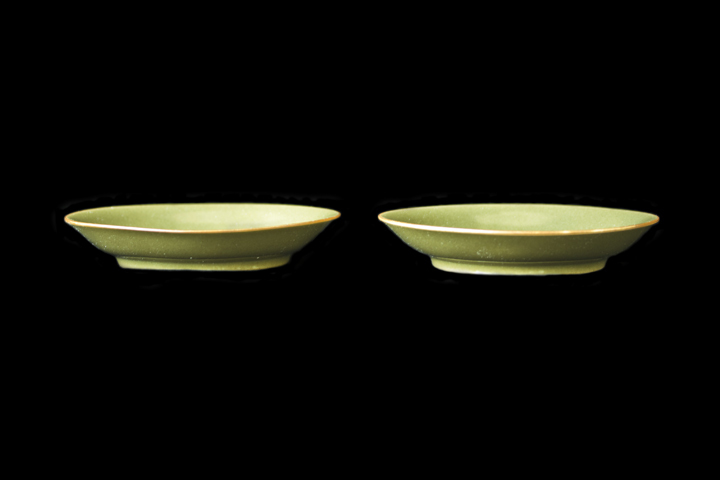 Tea-dust Glaze has the texture of jade，only official kiln can reach this level of refinement。The center glazing is luminous and white, with a slight pinkish hue, and texture as refined as jade。The handwriting style and quality of the blue and white inscription complies with the official kiln inscription of Qianlong seal. 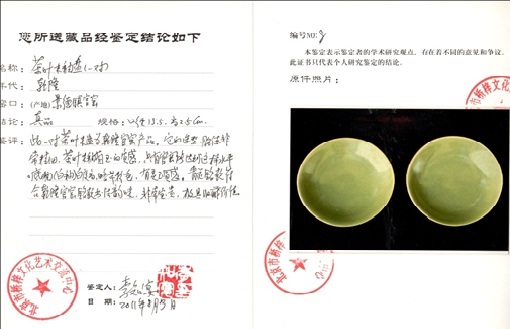 It is very precious and valuable，extremely worthy of collection.